-Mast lowers very easily with gas strut. A very nice example of the Aquanaut Drifter 1050AS, built in 1999 this lovely vessel is powered by a 110hp Yanmar engine that sounds wonderful & pushes the boat along nicely at 8 knots. She offers Superb accommodation with 5 berths & a very light & airy saloon, she will also be a joy to handle with bow & stern thrusters as well as 2 very well located helm positions. She would benefit from attention to areas of her paintwork but if your looking for a long range cruiser to explore the rivers or coasts of Europe or the UK this very functional vessel is certainly worth a look. 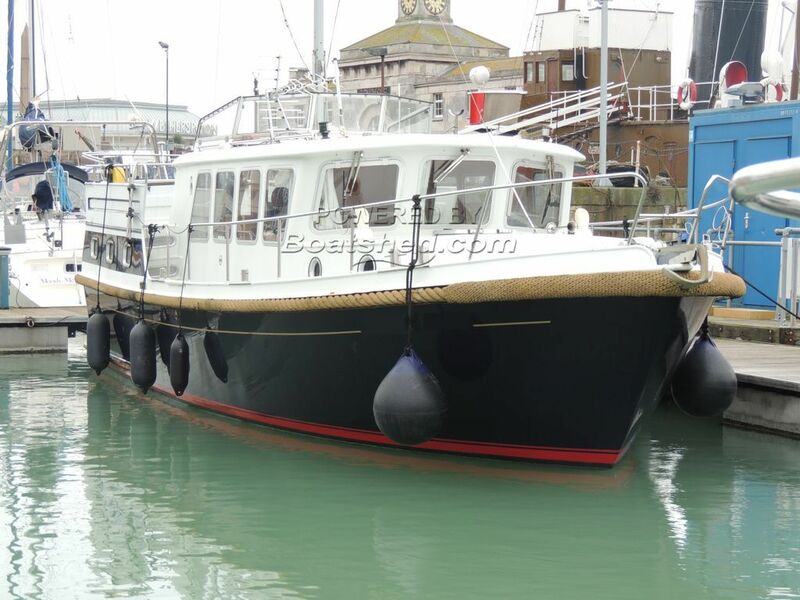 This Aquanaut Drifter 1050AS Trawler has been personally photographed and viewed by Jamie Nash of Boatshed Kent. Click here for contact details. Please note this comments section is public. Please do not post your personal details here. To enquire about purchasing this boat, please contact the broker directly at boats@boatshedkent.com. Please read our commenting guidelines before posting.